Try Something New and Increase Your Skills! Are you ready to try something a little different and perhaps build your skills at the same time? This beautiful coaster set is just the project. 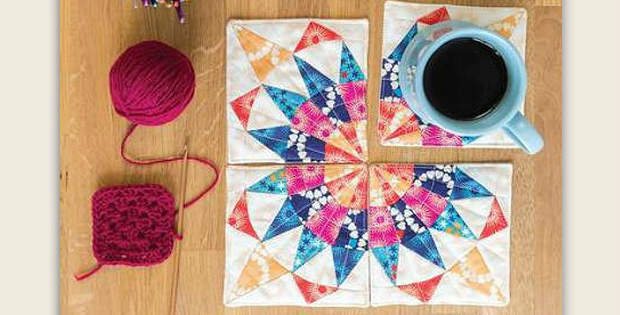 We love how the four coasters form a gorgeous starburst design. It will be lovely on a table when the coasters aren’t in use. The intricate design is achieved with paper piecing. If you’ve not tried it before this is a great project to start with. There’s also a bit of curved piecing, but don’t worry. It’s totally doable. Just follow the instructions for a beautiful finish. Give this project from Sew and So UK a try. Despite how complex it looks, it’s a fairly simple one to complete – and one you’ll be proud to make your own. 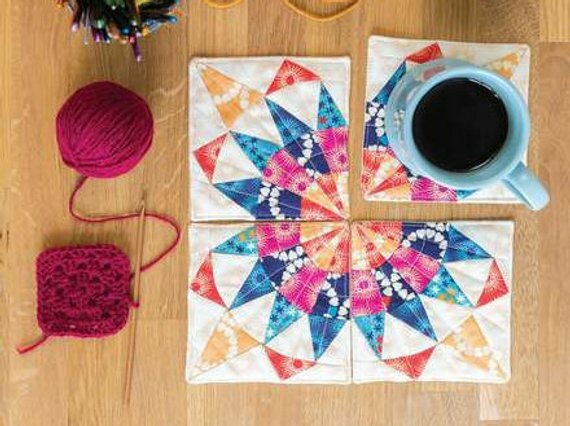 Click here to purchase the “Mini Patchwork Curvy Coaster Set” pattern.